Salford’s Crown Theatre is nothing but a skeletal frame, but it’s magnificent. 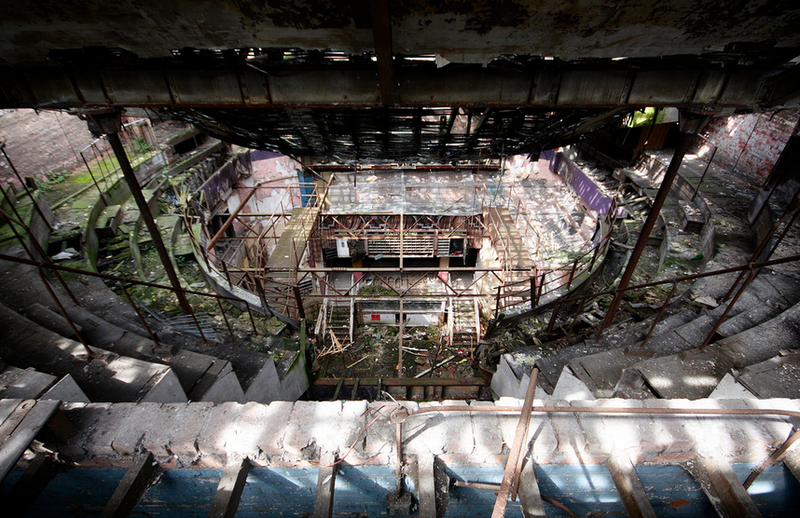 In 2005 this dilapidated old Victorian theatre was bought by a production developer from Paramount studios. Having worked on films such as the Truman Show, and James Bond, Geoffrey Klein moved to Salford to be with his British wife and bought the site with the intention of converting it into apartments. 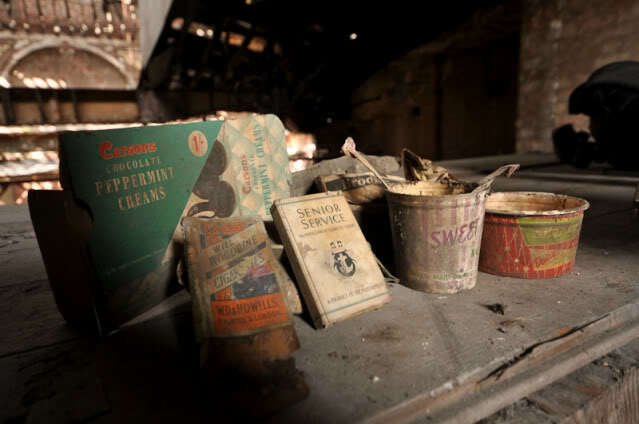 Although in a bad state of repairs the interior decoration was preserved remarkably well with old theatre programmes and sweet packets to be found in parts of the building as if it had just closed up after a performance the night before. 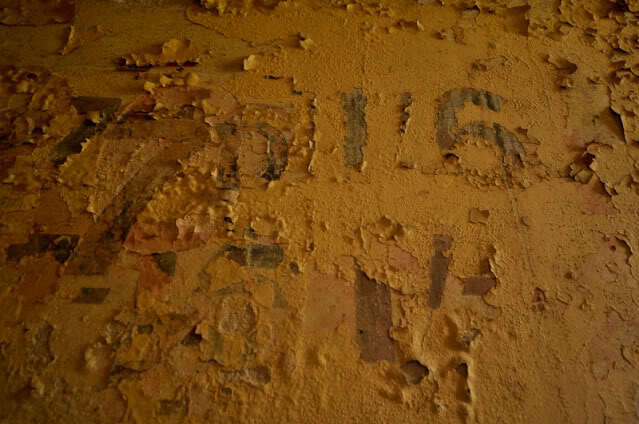 Klein had already developed some nearby flats and had enthused about the area and its potential but now, almost ten years later, the building remains untouched. The current owner, Westgate Developments, bought the site from Klein in 2008 when his neighbouring venture had failed to be as successful as he had hoped, and disillusioned he sold up. Westgate shared the same vision for Crown Theatre - they too planned to develop the site into apartments but yet the theatre continued to rot and no progress was made. Then in 2009 it was confirmed that the Grade II listed site would be demolished, with the facade being salvaged. Opened in 1899 as the Lyceum Theatre, the Eccles theatre was designed as a home for Shakespeare performances but very quickly became home to variety shows and changed ownership and names in 1907. In 1932 the 2,500 capacity theatre was converted into a cinema but in 1963 it went the way of Hulme Hippodrome and became a bingo hall. 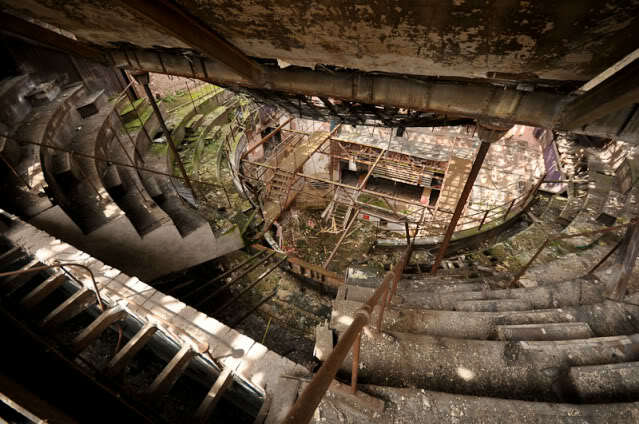 A section of the theatre was demolished before closing forever. The site has been closed since sometime in the 1980s when it was already falling apart within. It was listed in 2003 and added to the Theatre's trust at Risk list in 2012. The proscenium arch inside the theatre depicted Shakespeare's Seven Ages of Man but the stained glass windows of poets and playwrights installed by the original owner in his bid to educate the poor were removed during a refit several decades ago and sent to America. In 2013 fire crew were called to an arson attack on the building which effected the first and second floor balconies. George Formby and Frank Randle had graced the stage of the Crown but the most interesting of characters connected to the theatre must be American showman Samuel Franklin Cody. Cody, a Texas man, moved to Britain in 1890. Often mistaken for Buffalo Bill, or a relation of his, Cody became very successful in his own right. The money from his lasso-slinging, gun-firing shows financed his love of kites and he designed a war kite capable of lifting a man. He later crossed the channel in a boat pulled by a team of kites and his designs were later adopted by the military. Cody went on to be the first man to build and fly an aeroplane in Britain. The theatre has been captivating to me since I first saw images of it, not as it was, but as it is now. There's something fascinating about the decay, the missing roof, and how the brick mortar has all but rotted away so that when it rains water runs out from around the bricks. There's no way the building can be salvaged now and knowing that it's so late for the Crown is what makes me fall in love with its state rather than lamenting it. The frame of the building is intricate and alluring and it's so much more than you'd ever have imagined from the exterior of the property. Thank you to 28 Days Later user Dweeb and Speed for sharing their images with me, after many years of trying to secure access myself. Salford Online have a campaign to preserve the facade of the building, details can be found on their site.